A man of extrordinary vision. Step back in time to now. 2015, as it was imagined by the artists and designers of the 1930s, '40s, and '50s with its flying, bug-shaped cars, monorails, and domed cities that never really happened. One has to go back in time to see that America. You can go back to then right now at the Erie Art Museum and see one genius's vision of a bright future, a genius who lived right here in Erie, Pa.
Wilbur Henry Adams, like his contemporaries, had visions of the future that were grand. Adams, unlike most of us who have futuristic flights of fancy, could make his visions a reality because he was one of the most in-demand industrial designers of his day. Picture in your mind the streamlined, sleek futurist style of America as featured on the covers of so many old pulp science fiction magazines – aerodynamic, shiny, and bold. If your reverie takes you to a glassy retro dinor with neon lunch counter, a jukebox in the corner, and a chrome soda machine, you are getting close to the design reality that Adams helped create for America. Now populate the town around your dinor with soaring bridges, bullet trains, and voluptuous, curvy automobiles. Adams is present, standing right beside you with his million-dollar grin and a cigarette in hand. Sadly, though, you can only talk to Wilbur Henry Adams in your imagination. 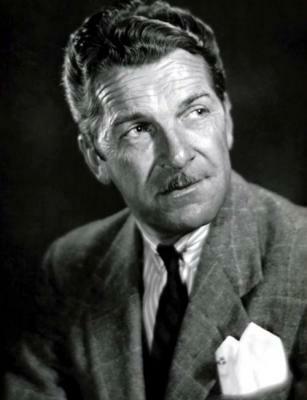 He died in 1958 – too young and at the height of his career. But much about the man and his times can be gleaned from the Art Museum's current showing of his work. When Adams left Erie to train as an architect at MIT, the idea that a manufactured product would be anything more than merely functional was a new one. Decorative design was the realm of the handmade. Trappings truly elegant, like a Montblac pen or a Tiffany vase, were strictly for the privileged class. Utilitarian devices for the masses, like bicycles, toasters, and stoves, were marketed for their functionality not their beauty. But in the 1930s, with the economy in the tank, sales needed any boost they could get, so manufacturers decided to get creative. They hired the best designers and artists they could find to design beautiful products for the middle class. And soon curvy, chrome, art deco refrigerators were quickly outselling their boxy wooden forbearers. This trend even extended to industrial goods. Water valves and electric conduit boxes started taking on an elegant appearance. Such was the world that Wilbur Henry Adams entered into when he started his business in 1935. The companies making consumer products were more than happy to let someone with Adams' visual ingenuity have his way with nearly everything they made. Before he was done, he recreated everything from pipe fixtures for Copes-Vulcan to bin vibrators for Eriez Magnetics. He even designed the world's most expensive bicycle. The craving for stylish, futuristic design extended so far that Adams was hired by the Lamac Process Company to prepare a series of mock-ups for a rather surreal specialty device called a "shoe repair machine." In the main gallery of the Erie Art Museum, you will find the colored pencil sketches for the shoe repair machine, along with meticulous and adroit drawings of tractors, toilets, and cars. One particularly clever toilet design has a lid that lets one display the bathroom reading material without danger of it falling into the waters below. There are original layouts and blueprints for history's coolest double-decker bus, complete with bar and social lounge. A toy model of America's most iconic milk truck is on display in a Lucite case. That "Divco-twin" model truck was procured for this exhibit through the hard work of curator Alexa D. Potter, who spent weeks tracking down aficionados of Streamline Moderne design in hopes of finding Adams-designed treasures kept in pristine condition. The owner of the toy truck was not even aware that Adams had designed the prize of his collection until he was informed by Potter. The jewel of the exhibit has to be the rare Goodyear Double Eagle Clipper Bicycle, which was loaned for exhibit only after the owner was assured by Potter that it would be in the hands of expert conservationists at the Art Museum. Our enlightening trip back to the future is only possible because of Adams' daughter, Abigail Adams Greenway, who, after rescuing much of her father's remaining original artwork from destruction, spent years painstakingly preserving it for posterity. When she and former museum framing expert Joe Popp showed the collection to Erie Art Museum Director John Vanco, it didn't take much convincing to get him to agree that Erie needed to be made aware of the little-known genius who had made such an impact on the world around us. If more of Adams' vision for Erie had come to fruition, we all would know his name. But alas, most of the designs he proposed for our city after he moved his business and family here went unrealized. His plans for a skyscraping municipal building, underground tunnels connecting much of downtown, and a floating amphitheater in the bay were never built. The enhancements he planned for the peninsula are especially fascinating, incorporating causeways, bridges, and break walls. He did design the iconic Skyway Drive-in Theater, which stood on Route 5 until it was torn down to make way for a subdivision in the early '80s. Also completed were many interiors for banks and taverns, but those designs, like so much of America's built environment, fell out of favor and thus were stripped and replaced with more staid and boring surroundings. This is not to say that Wilbur Henry Adams is without a legacy. During his short life, he changed the face of America. It is also likely that the Art Museum itself would not be the institution we know today if he had not worked so hard on its behalf. As president of the Erie Art Club, he tirelessly promoted arts and culture in Erie and helped save the Customs House from destruction. That building would later become the face of the Erie Art Museum on State Street. Thankfully, that same museum is here to take us back in time to witness the future that Adams had envisioned for us. Styled by Adams runs through March 30 at the Erie Art Museum, which is located at 20 E. Fifth St. Hours of operation are Tuesday to Saturday 11 a.m. to 5 p.m. and Sundays 1 to 5 p.m.; the Museum is closed on Mondays.